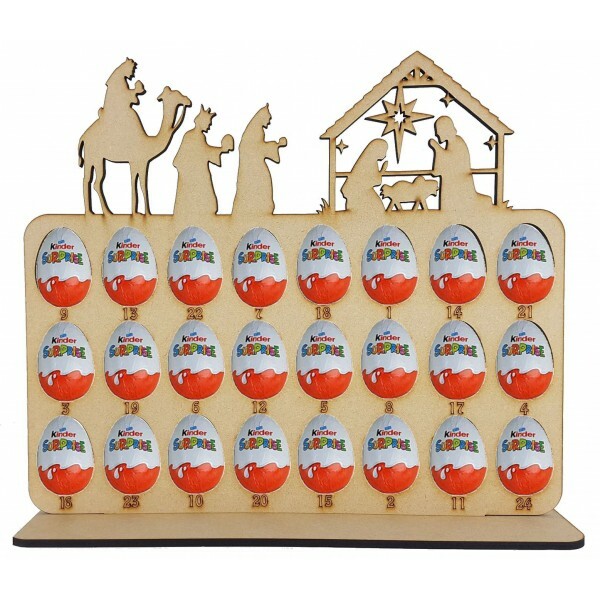 Large Plaque with shapes along the top, the plaque has cut out spaces to hold 24 'Kinder Eggs' to countdown the days until christmas. Etched numbers under each chocolate. 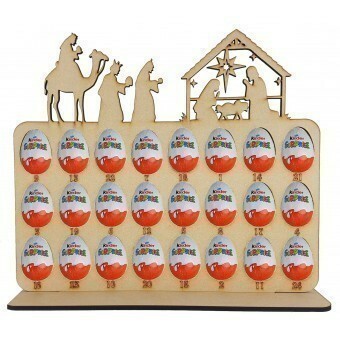 The perfect gift for anyone and everyone at Christmas, especially if they love Kinder Eggs!